Wotofo SERPENT SMM RTA used wotofo’s consistent package, color printing pull-out paper carton.But this time it gives me different feeling from the previous ones, looking like a pack of cigarettes. I like its packagedesign very much, and gorgeous colors are very attractive. When pulling out the box, we first see the wotofo small card and the atomizer specifications.At first glance, I see the merchant’s conscience. There are a total of three glass tubes, and two of them are for replacement. In the main layer : one PEI drip tip, two glass tubes for replacement, one atomizer. Remove the main layer, there is a bag of cotton, a bag of spare screws and o-rings, a bag of coils and a screwdriver. Take the atomizer out and install the drip tip on, they look very harmonious, and the polishing is also very good. Someone may ask what is the difference between this and CP. Don’t worry, please keep reading. Atomizer contains six parts: drip tip, top cap, atomization tube, glass tube, base , airflow adjustment ring. The PEI drip tip has round edge and does well in heat insulation. The two pictures show the funnel-type inwall, which is verysmooth. It is the best large diameter 510 mouth I have used. First, many 510 dip tip made of resin is too short. This lead badmouth touch. Wotofo SERPENT SMM RTA drip tip is suitable in height. Second, the thickness of the drip tip is very suitable, not too thick or too thin. Third, the funnel-shaped inner wall has the effect of anti-condensation. Lastly, the polishing is smooth and round. Head cover, in external there is a bevel edge which is not very smooth and round. When touching it you can feel the sharpness. But this does not influence the handfeel.In inside, it is different from other atomizer. There are a total of three layers, two orings, providing good sealing. The atomization adopt concave carved, and the polishing is also very good. First, the outlet hole did considerable arc round corner for the effect of condensation.Second, the air line is short, which makes smoke moves faster into entry. The smoke reserve a certain temperature and taste.Third, gathered design which was done twice, together with the smaller air line makes the smoke more concentrated and tastes richer. That is the biggest difference. The glass, thick and round as it always be. Base, my most satisfied in the GTA atomizer. First, a two post design with two slotted terminals per post to allow coil mounting for both forward and reverse wrapped coils. Second, cross screw is very nice! Then, there are four the air outputs. Seemingly, it looks like the coils are blew by the airflow from the side, but it is not. I will say it in the following part separately. As regard to the cotton hole, just plug the hole with cotton, you don’t have to adjust the position like you do with CP. It is easy to use. In the end, I can’t show it simply by pictures. On each side there is an air inlet. They work separately. Then there is a big space in the middle. The space is used effectively to store oil.Different from all the RTA and GTA at present, the deepest place of Wotofo SERPENT SMM RTA tank is like some RDTA, at the bottom. Next we talk about the second difference between CP and Wotofo SERPENT SMM RTA. That is the way that air go through the heating coils. In CP, the air flows from one side at the bottom. In Wotofo SERPENT SMM RTA, the air flow in three-dimensional way. After adjusting the heating coils, we can see the upper air hole face the middle of the coil, and the lower air hole face the bottom of the coil. That is to say, the air flow from three sides. The tastes of the smoke will be better. The smoke will be bigger. The direct effect is that the density rises a lot. Many atomizers have adopted such a design. But what I want to say is that none of them done good in condensation. That’s why after using the residual heat on the coil will make the oil evaporate. Then it goes down to the lower air hole. That’s the reason of condensation. But Wotofo SERPENT SMM RTA has no such problem. It has no air hole at the bottom. The air hole is on the side. There is a distance. When using atomizers, shaking the body, the condensation will go to the cotton. That’s why you can’t see it on ail inlet hole. At the reverse side of the base, there is its LOGO and other information. The electrode is gold plated. Airflow control ring is removable, and there is a card slot, thus will not turning around at 360-degree. At the same time it is helpful in clearing atomizer. Many of you may already have a CP. Here we give a visual experience. It is stronger than CP in richness , has much fuller smoke, and the smoke oil reduction degree is higher. The base is not easy to clean, and the oil tube is hard to clean. Resolution is ordinary, similar to MeiLin MiNi. Wotofo SERPENT SMM RTA is really a good product worthy to buy.Wotofo SERPENT SMM RTA is on sale at urvapin with nice price. 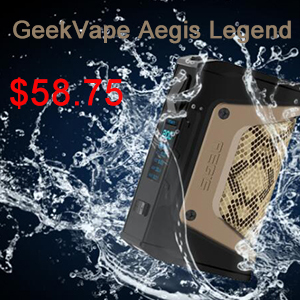 As an high-end flagship devices from the American-based company – Limitless Mod Co. This LMC 200W box mod has a lot to offer at a cost that’s very competitive when compared to other similarly-speced devices.Let’s take a look. When it comes to design, American street culture influence over this LMC box mod is undeniable, evident in its color combo, the plate’s pattern and the feel of it metal exterior. From the outside, the LMC box mod I received is the attention-grabber-“classic-LMCtriangle”. I personally like it very much. This is a very visceral pattern, it carries the element of Stars and Stripes, fire and passion. Not being too bold or overbearing, the other parts pair with the black. The whole design brings a sense of dignity and refined elegance. You can purchase other four colors – new version red, color burst script, metal scratch script, wood burn LMC script triangle at urvepin, the choice is all yours. Two magnetic plates are imprinted with graffiti-style LMC logos. They look very casual, playful and uber-cool. These two magnetic plates also work as battery covers. They are replaceable. Each of them is down to personal preference. LMC 200W box mod also implements the uneven coating. Very unique and functional. Such uneven coating gives ruggedness touches and mirrors the latest industrial street art. Also, the uneven coating provides a certain amount of finger smudge resistance. It keeps grease and stain at bay. The magnetic battery covers(plates) are quite solid to lock two 18650 batteries in. When refilling the batteries, all you need is simply lift to open. Although LMC 200W box mod has a short circuit detection, a low resistance detection, and a overheat(≥80℃ ) detection, we’re still looking forward to see the other upgrades such as explosion relief holes and a micro USB ports added on this device. For a limited time only, the Limitless LMC 200w TC Box Mod New Version is on sale right here for only $55.69 from Urvapin! No coupon code required! Free shipping is included with this purchase! The colors available are new version Red, Flag, Rainbow, Space Gray and Grain. The Limitless LMC 200W TC Box Mod is powered by two 18650 batteries (not included). 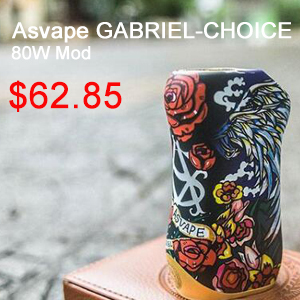 This device does feature a maximum wattage output of 200w, and features a custom chip! The Limitless LMC 200w TC Box Mod also features temperature control for Ni200, Ti, and SS wires. The Limitless LMC 200w TC Box Mod has a ton of safety features built in, providing the user a peace of mind during use. The Limitless LMC 200w TC Box Mod includes three memory modes as well as three presets: Soft, Standard, and Powerful. Lastly, the Limitless LMC 200w TC Box Mod features interchangeable plates with magnets, so you can easily customize this device! 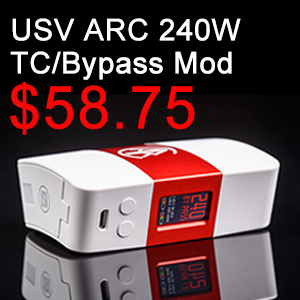 All in all, this is a great deal for the Limitless LMC 200w TC Box Mod! If you are a fan of Limitless and looking to pick up a new temperature control box mod for cheap, then this is a deal you cannot miss! Make sure to check out this deal at Urvapin for only $55.69! This sale does end 6/23/17! 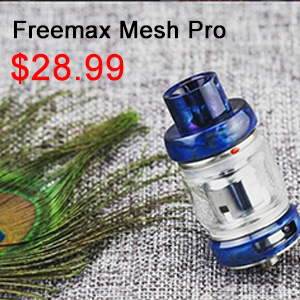 Introduce you a new 22mm dripper tank – Oumier Wasp Nano RDA, which comes with a short profile and solid built body. Featuring a large dual post deck, it’s specially designed for single coil build. 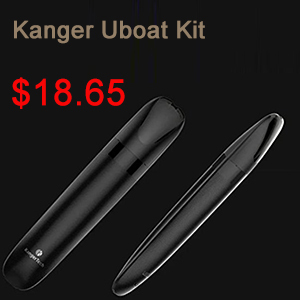 The adjustable side air slots are located at the same level with the coil, delivering smooth and dense vapor clouds. The amazing thing is this Wasp Nano RDA adopts an exchangeable squonkable bottom pin design, which allows you to use it with your squonk mod. 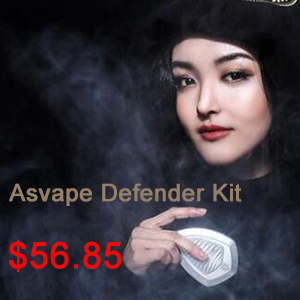 You can use it with your Squonk style MOD. Gold and Silver colors are available. The top cap is made of PEI, an environment-friendly material, ensuring you a safe and cool vaping. It omes with: Wasp Nano RDA, spare o-rings and screws, squonk pin, cardboard-esque cotton. Just two pieces. I love how simple it is. The quality of the machining is great. The threading for the screws is smooth, and the gold-plating has remained perfect after multiple washings. It is compatible with most 510 thread batteries/MODs. Rebuildables are for experts, not for average or beginner vapers with no knowledge of how to rebuild atomizers. These materials cannot safely be used by the inexperienced or those without basic knowledge of electronic cigarettes. The machining is great, the flavor is stellar, and it looks pretty nice also. The only things you may don’t love about it is the allen screws and the tiny juice well. After the building process the screws aren’t much of a con, but the tiny juice well means constant re-dripping. It’s not ridiculously small, but after getting used to 24MM RDAs, the well feels pretty tiny. If you are look for it, you can select it on urvapin. The Pulse Pod System Vape is the newest addition to the Limitless product line. The Pulse Pod System Vape Pen is a new 2ml pod system that uses an 8 watt 380 mah internal battery that you can recharge. The Pulse Pod System Vape Limitless Mod Co was co designed by Asher Dynamics, and manufactured over seas by PLY Rock,. The Pulse Pod System Vape Pen comes with one full complete unit, with a refillable pod installed, 1 extra pod, and a USB charger. To use, just simply pull out the pod by gripping the top part of the unit. Remove the pod. To access the fill port, remove the top black mouth piece. You will see a rubber plug. This is where you can remove this plug entirely, or just one side to access the fill ports. We suggest using a thin needle tip bottle, like a unicorn bottle, or syringe to fill the pod. Simply reassemble, and install the pod. There is no need to turn the LMC Pulse Vape pen on, simply draw and inhale from the mouth piece. The button on the center of the Limitless Pulse Pod Vape Pen allows you to change the color of the LED light system. If you are looking for the best Pod System Vape Pen, pick up a Pulse From Limitless Mod Co on urvapin, and feel a better draw, more airflow, and a better vape! I bet you will not feel disappointed.